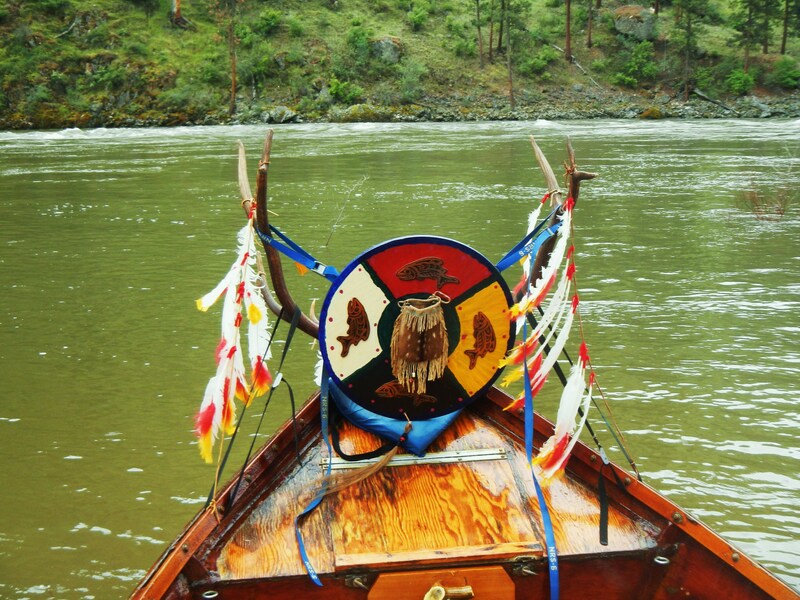 Why The Sacred Salmon Ceremony in Riggins Idaho is Sacred? It is nearing that time of year again. 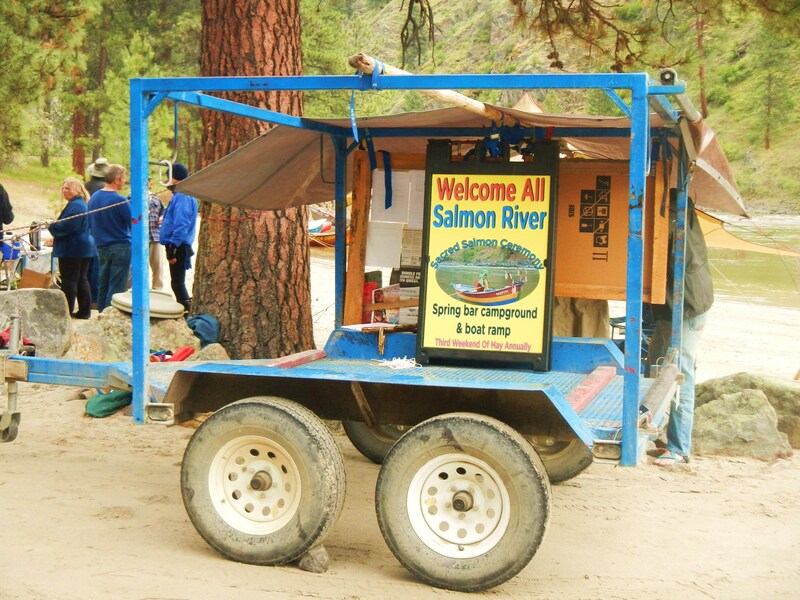 The 13th annual Sacred Salmon Ceremony is planned for May 10, 2014 about 10 miles upriver of Riggins, Idaho. This event was originally spawned during a controversial public hearing to consider potential dam breaching on four lower Snake River dams in the year 2000. Save Dams or Save Salmon was the main issue, with about 140 miles of potential restoration of primary spawning habitat for Fall Chinook at stake, as well as addressing additional runs and downstream smolt mortality as potential for improved survival rates and overall enhancement of the salmonoid’s fishery. A group of five local Riggins river guides, tired of controversy and the never seeming end to every political battle being tied to the dollar sign, decided to pay attention to how First Nation, original native people addressed fish before dams and colonial settlement industrialized the region. 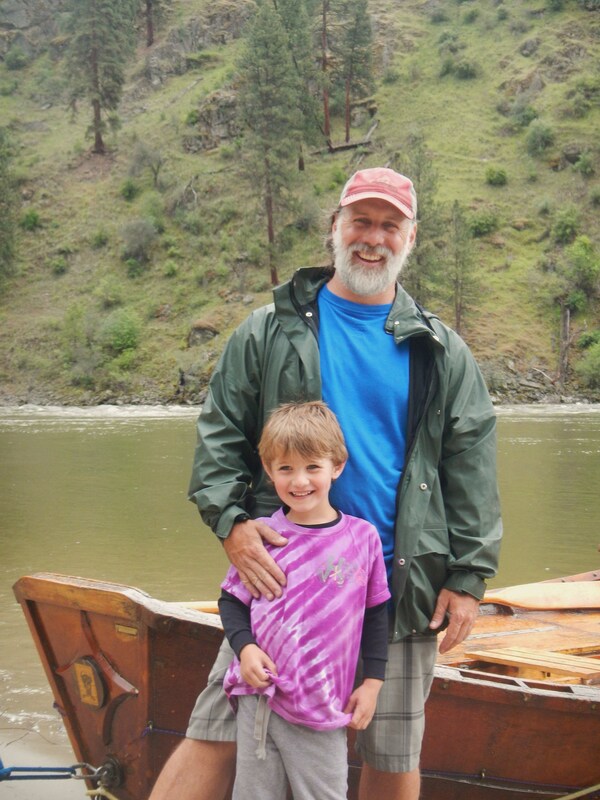 The Columbia River anadromous fishery is no small matter. 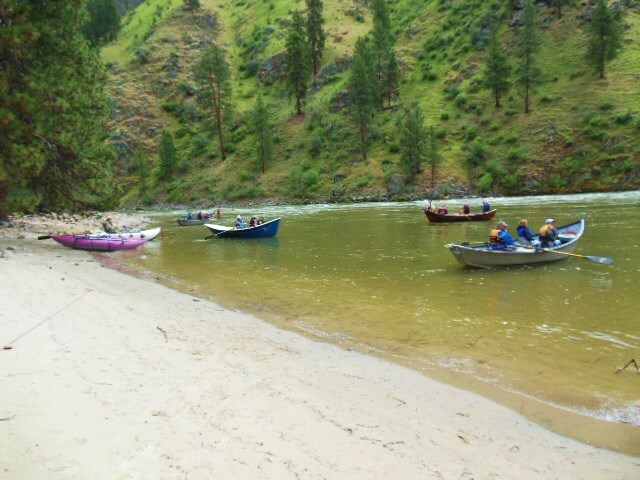 It is of world-class status and is historically an epic migration route for salmon and steelhead. The spectacular cascading Celilo Falls, near The Dalles, Oregon was a nexus of salmon fishing and a time immemorial honored trade center where many indigenous cultures gathered to fish and barter for centuries. This was long before the arrival of alien explorers, and continued annually until Celilo Falls was flooded in 1960 by another Columbia River dam. The Dalles Dam was the sixth dam of fourteen total dams on the Columbia River of today. The native people always welcomed the salmon back to their home waters annually, for to not respect this migration and immensely important source of sustenance would be to invite diminished returns. Part of that respect was a worldview that recognized the connections of all things, and that over-fishing is a result of no respect and thus eventual avenue for depleted runs. They held sacred ceremonies annually for what became a major spiritual icon to their primal cultures. So, those of us river guides who also take guests fishing, see it in the same light, with great appreciation and as awesome respect for. After all, we too are native to the planet, as no one culture holds a monopoly on appreciating nature. There is a reason rainbows contain all colors of the spectrum, and why all people can see them. The sun does not hide the light from some and shine on others, in the big picture. But, you don’t have to be religious to appreciate something to be sacred. Just as you don’t have to be religious to appreciate having morals. Morality and sacredness can be religiously oriented, but seeing the results of Manifest Destiny of the early colonialism era is testimony to prima facie evidence of hypocrisy and exploitation at the expense of others. No one culture is privy to being the most privileged to appreciate the sacred. Sacredness is about giving special significance to something that is highly important and worthy of properly being cared for. Keepers of the Fire, Keepers of the Fish, Keepers of the River, Keepers of Wisdom or whatever it is that is important to them, is how people collaborate and cooperate to help perpetuate things and make them thusly sacred. Spiritual sacredness is different that religiously sacred things. Religion comes with one creator, while the spiritual aspect of something can be simply the essence of that energy that flows through everything. When you talk to yourself, your personality becomes that spirit, or soul, that gives life to time in this world. All other animals and plants have a similar spirit or energy flow, too. When death arrives to human, only then will anyone know, or not, if spirit continues flowing in another realm? At least, as a non-religious person, that is how I view the world, and have learned over time the more I learn and know, the more I don’t. Increased knowledge always opens up more questions. But, one thing I don’t question is how important salmon are. Based on watching people react to catching them, or just observing them, that is vividly apparent. So, this is all part of the reason we continue to respect the fish and hold an annual ceremonial event to welcome these mighty Chinook Salmon back to the Salmon River, which is their name-sake and special place to return each season. The event is basically a bi-nation (First and Second Nation) affair, is free, and open to all people. Though, also a non-alcoholic function. Thank you. 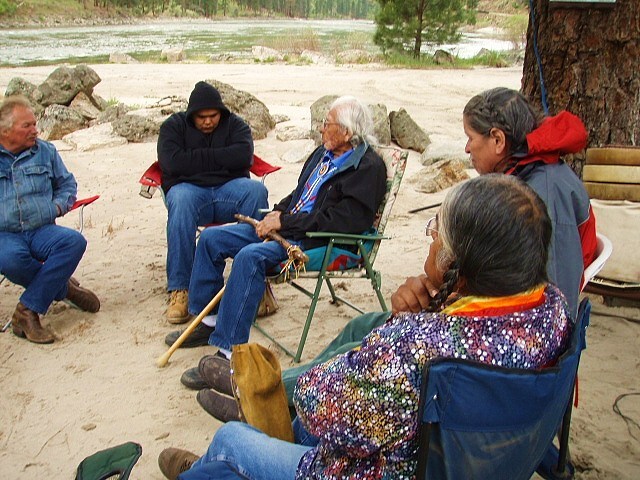 The Ceremony: Spiritual leader and Wisdomkeeper Horace Axtell, conducted all Nez Perce ancient ceremonies for this gathering in the past, but has passed that torch forward. 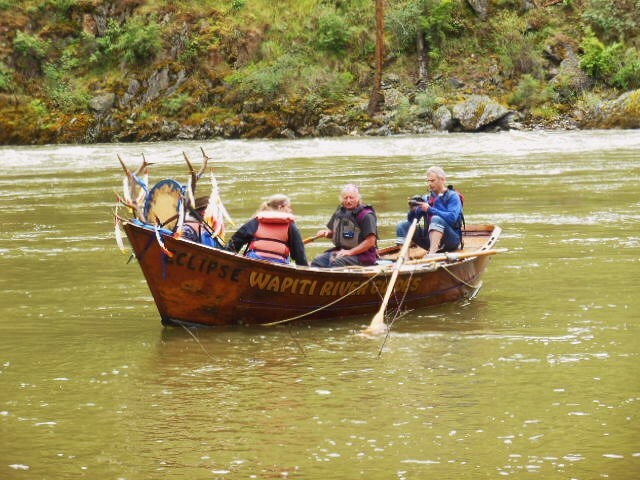 We appreciated how he performed ancient ceremony along the river bank and in the boats out on the water with drummers and singers tuning into the songs of their ancestors. 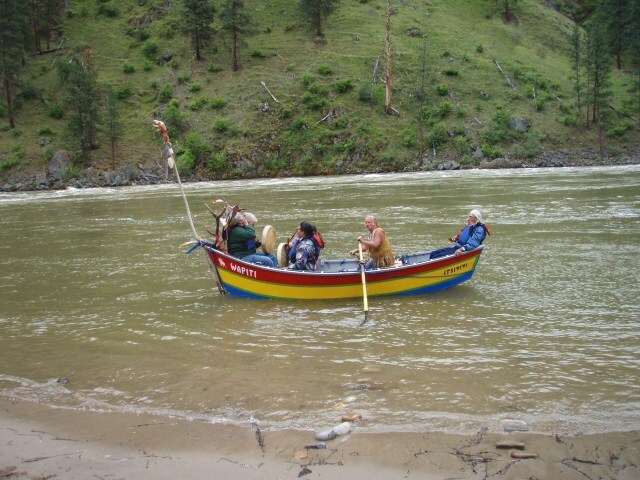 We are seeking other Nez Perce facilitators to conduct First Nations ceremonies to help unite all people to the land, water, fish, and wildlife. The Two Nations collective ceremony includes a riverside salmon ceremony, 3 sacred boat circles, a closing “talk circle,” and a final potluck. This friendship feast is an informal visiting session and get-to-know your neighbor finale. 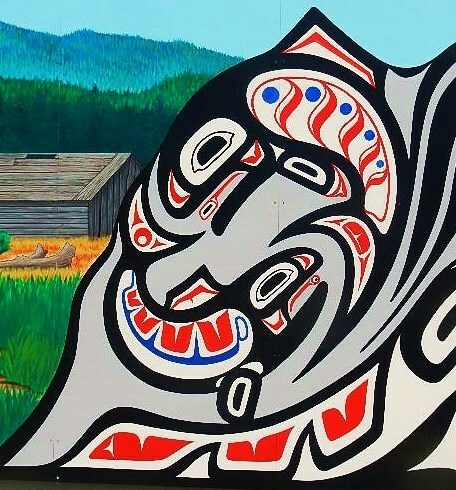 The celebration is also a touchstone event to help remember treaty obligations and the importance of maintaining the integrity of all major elements that shape the human landscape of our area. This face to face event is intended as another personalized way to continue fostering healthier relationships between two sovereign nations with a stormy past. In today’s world, and the many human cultures that share common natural resources together, how we move forward to create a collective history together is important. This is all about the Seventh Generation Philosophy and Passing the Torch.